Docker is a containerization platform which means it is a Linux box that needs less power than a full-blown Linux machine. You usually don't work "on" it, but you let your software run in it. 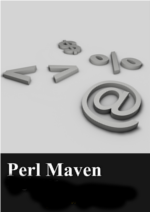 In this article we will see how to get started with it for writing Perl code. 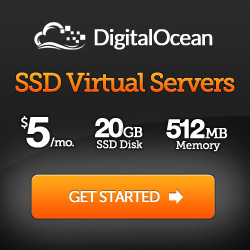 You can use it on top of Linux, Mac OSX, or Microsoft Windows. The first things is that you need to download and install Docker. The rest of the commands will be given on the command line. A terminal window in Linux or OSX, the Command Prompt in Windows. In this article I don't assume that you have read it. We start by creating an empty Ubuntu image. This means the foundation of our little toy will be version 16.10 of Ubuntu. Then cd into that directory. Remember, we use the Terminal on Linux and OSX and the cmd on Windows for this. The first time we run this, it will download the Ubuntu image and save it on the local disk, so the subsequent runs won't have to download it. though the code at the end will be different for you. Congratulations. You've just built your first Docker image! Note, the word "mydocker" is just the name I gave to it. You can use any name there, just remember it as we will use the name in the following commands! Here we used the same name "mydocker" as we used to build the image. Seemingly nothing happens. You get the prompt back. In reality, docker created a container from the image and did what we told it to do: nothing. Then it got shut down. If you know Linux or the command line of OSX, you already know that we executed the ls -l / command which means list the content of the root (/) directory. You can also see that the directory names are very familiar. So yes, we have a small Linux system there, that we can use to execute commands on it and it will shut down immediately after the command finished running. Perl on the Docker image of Ubuntu ? That is. This Ubuntu image has Perl version 5.22.2 on it. That's great so we have an image with perl on it! What else can we do with it? A slightly more complex command in Perl, but still a one-liner. That's lovely, but if we distribute this Docker image, the user will have to type in the command. Can we bake that command into our Docker images? The CMD instruction will be executed when the container is launched. This time the build will be much faster as we already have the Ubuntu image cached locally. The next step is to embed a full Perl script in the image. So let's write a really simple script. Create an image based on Ubuntu 16.10. It will copy the file hello_world.pl to the /opt directory of the Docker image. It will print "Hello World from Perl script" and then exit as expected. OK. so we know how are we going to distribute our Perl script once it is done, but how can we develop it? Certainly we would go crazy if after every change in the Perl script we would need to build the image before we can run the script. That would be almost like writing in a semi-compiled language such as Java or C#. No, we can use our Docker image to run scripts that are only on the host filesystem. For this we need to tell Docker to mount (share for people used to the Windows terminology) one of the directories of the host filesystem to one of the directories of the Docker image. We can do that when we launch the image using the -v HOST_PATH:GUEST_PATH option. Here you will have to replace "/Users/gabor/work/mydocker" by the path to your current directory on the host operating system. This command will launch the Docker image called "mydocker" we have just created, and tell it to run perl /opt/hello_world.pl. You can edit the hello_world.pl and run it again without rebuilding the image. The result should reflect your changes. Enjoy Docker, and let me know what else would you like to know about Docker and Perl in order to make the most out of it?